Every two years, the Presidential Sites Summit brings together operators and administrators of presidential libraries, historical sites, and the descendents of America’s presidents. 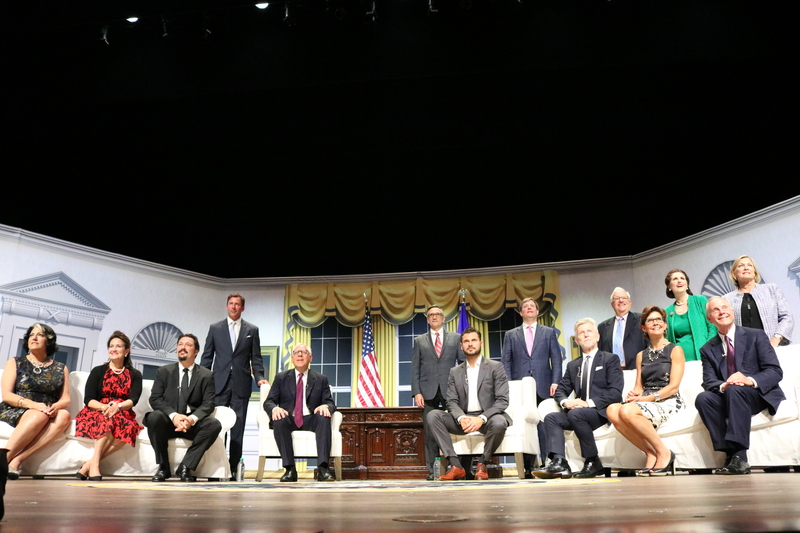 This year’s gathering kicked off earlier this week on stage at the Kennedy Center. After a welcome from Kennedy Center president Deborah Rutter and Washington Post publisher Fred Ryan, the evening featured two panel discussions. The first panel, moderated by David Rubenstein, featured stories from the White House as told by presidential descendants Susan Ford Bales, Daughter of President Gerald R. Ford, Clifton Truman Daniel, Grandson of President Harry S. Truman, Massee McKinley, Descendant of Presidents William McKinley and Grover Cleveland, Lynda Johnson Robb, Daughter of President Lyndon B. Johnson, and Tweed Roosevelt, Great-grandson of President Theodore Roosevelt. The second discussion, “The White House Behind the Camera,” featured an introduction from Anita McBride, chair of the Presidential Sites Summit and the Chief of Staff to First Lady Laura Bush, which was followed by a conversation between Adan Canto, star of Designated Survivor, Tammy Haddad, President & CEO of Haddad Media and HBO, Mack McLarty, chairman of McLarty Associates, Chief of Staff to Bill Clinton, and consultant on Designated Survivor & White House Down, Capricia Marshall, House of Cards consultant and Social Secretary to Bill Clinton, documentarian Kirk Saduski, and Jamie Vanderbilt, the writer and director of White House Down. Watch more Presidential Sites Summit events live on CSPAN. On August 2, 2018, former President Barack Obama and Vice President Joe Biden made a surprise visit to Dog Tag Bakery in Georgetown. The two grabbed lunch and delighted customers. 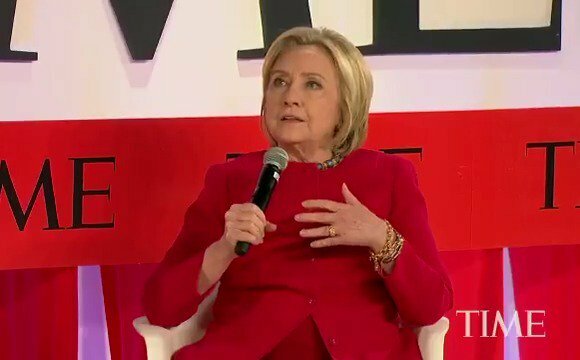 This video captures some of the highlights and media coverage of their visit. Dog Tag Bakery is an extension of the Dog Tag Inc. Fellowship Program, which combines education with hands-on experience to create a living business school, building a bridge to employment and helping veterans and military families find fulfillment in their professional and personal lives. 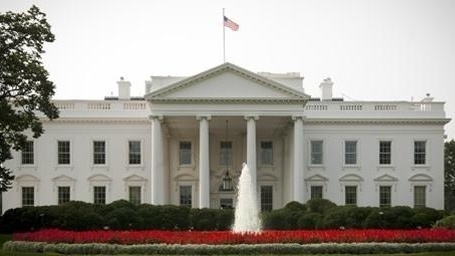 Presidential Sites Summit coming to Washington, D.C.
Every two years, the White House Historical Association hosts a Presidential Sites Summit, and the next installment of this event is coming to Washington, D.C. at the end of August. Haddad Media CEO, Tammy Haddad, will be a featured speaker. 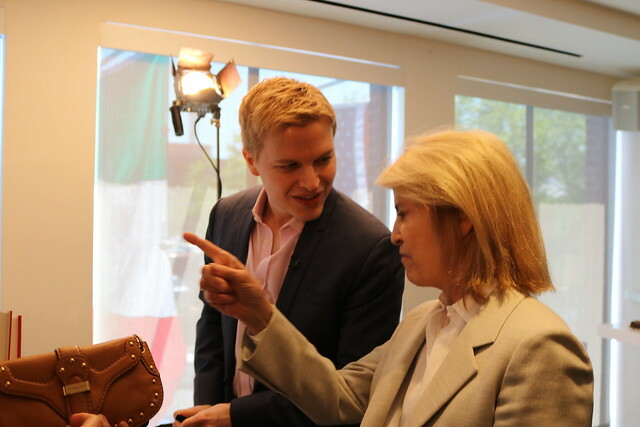 Ronan Farrow appeared Friday, May 4th at Cafe Milano in an event hosted by Franco Nuschese, Kathy O’Hearn, Hilary Rosen, and Tammy Haddad to discuss his new book War on Peace: The End of Diplomacy and the Decline of American Influence and his Pulitzer Prize-winning reporting on the Harvey Weinstein sexual abuse scandal. 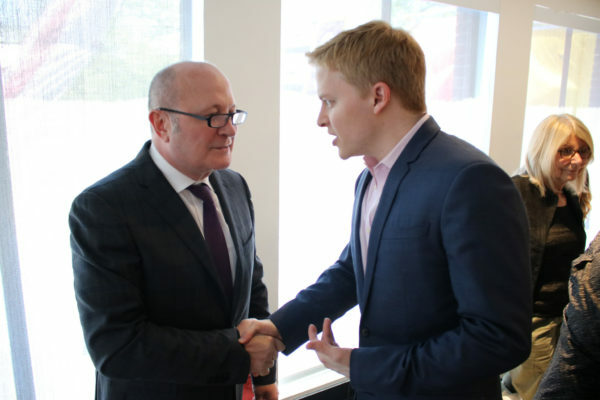 Tammy Haddad interviewed Ronan during the event as part of the Washington Insider podcast. You can listen and subscribe here. Farrow’s book charts the militarization of diplomacy, and he interviewed every living Secretary of State, including Rex Tillerson in his final days in office, who for the first time expressed regret that he did not fully familiarize himself with the inner workings of the State Department before agreeing to take the job. 2018 marked the 25th anniversary of the White House Correspondents’ Garden Brunch! This year, we honored the men, women, and families who have served in the U.S. Military. Staff Sgt. Dominic Perrotte was given the deed to his new 100%-mortgage free home by ABC News’ Bob Woodruff and Virginia’s Lt. Gov. Justin Fairfax as part of a program by Wells Fargo and Military Warriors Support Foundation. Also, the 10th graduating class from NS2 Serves was honored with the Champions of Freedom Award by Rep. Don Beyer of Virginia. 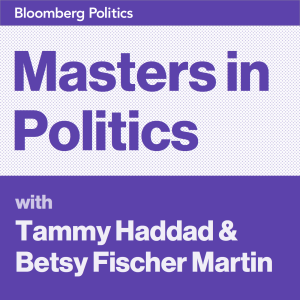 Special thanks to co-hosts Tammy Haddad, Kevin Sheekey, Hilary Rosen and Megan Murphy, Fred Humphries, Mark and Sally Ein, Mark Testoni, Greta Van Susteren and John Coale, Fritz Brogan, and Franco Nuschese. Georgetown’s favorite pastry destination, Dog Tag Bakery, will launch the Dog Tag Bakery Brownie on May 1, 2018 at Starbucks locations nationwide in honor of National Military Appreciation Month. This brownie is a delicious twist on Dog Tag Bakery’s classic recipe, topped with a salted potato chip crumble, and will be available in over 8,000+ participating Starbucks locations nationwide starting May 1, 2018 until June 4, 2018 (or while supplies last). Inspired by a shared commitment to helping our veterans and military families, Dog Tag Bakery developed this special limited-edition brownie for Starbucks customers to help raise awareness for veteran causes. Dog Tag Bakery’s entrepreneurial fellowship program combines education with hands-on experience to create a living business school, to build a bridge to employment and to help veterans, military spouses and caregivers find fulfillment in their professional and personal lives. To learn more about Dog Tag Bakery’s program, please visit www.DogTagInc.org. Together we’re #BakingADifference in the lives of our veterans and military families. “Wherever the cameras are, go there, because something crazy is happening.” That’s the advice that Washington insider Tammy Haddad gave me at the 25th annual Garden Brunch, which she hosted this year at Katharine Graham’s former house in Georgetown before the White House Correspondents’ Dinner on Saturday. It started as an intimate gathering in my backyard in the Palisades in 1993, 25 years ago. I created the Garden Brunch as a way to gather friends from New York and LA who were in Washington for the annual White House Correspondents’ Dinner. The first Garden Brunch was a salute to a longtime friend and colleague Stephen Rivers, a Hollywood publicist and political activist well known to politicos on both sides of the aisle and Washington reporters. After the invites went out, I was surprised by the amount of RSVPs we received from legends like Tim Russert to Bush 41 White House aide Anna Perez as well as many TV and print journalists. Late into the party I got a call on my house phone. A voice on the line said, “A secured package is on the way.” A few moments later none other than Barbra Streisand walked in accompanied by the great songwriters Marilyn and Alan Bergman. There were no cameras or paparazzi in those days. We soon realized the gathering had so much political wattage that we should use this platform to help others while celebrating great Washington journalism. We decided to bring in more than just the country’s top anchors and reporters, but also activists, celebrities, and government leaders, to advocate for their causes. As part of the weekend, the Garden Brunch has always been about celebrating the free press. And we aim to stay true to our original goal of creating a gathering space for journalists, politicos from both sides of the aisle, and celebrities to mingle prior to the main event. The brunch also provides an opportunity for many of the new faces making their White House Correspondents’ Weekend debut to meet their dinner sponsors. The Fourth Estate has been well represented at the Garden Brunch. Guests have included Greta Van Susteren, Rupert Murdoch, Wolf Blitzer, Arianna Huffington, David Gregory, Andrea Mitchell, Bret Baier, April Ryan and Gayle King. Over the years, the event has maintained a bipartisan spirit as presidential administrations have come and gone and the brunch crowd has continued to grow. One of my all-time favorite moments from the Garden Brunch has to be getting the opportunity to introduce Captain Richard Phillips, who had been captured by Somali pirates, to Homeland Security Secretary Janet Napolitano, who had coordinated his rescue at sea. Another favorite was watching Matthew Morrison, the star of Glee, joining the hottest boy band of the year, The Jonas Brothers, to advocate for finding a cure for epilepsy. In 2011, the event moved to its new location, the historic Beall-Washington House in Georgetown, the former residence of Washington Post publisher Katharine Graham. Mark and Sally Ein, who have since become co-hosts of the event, now own the home which was the location of many scenes in Steven Spielberg’s film, The Post. Celebrity spotting at the Brunch doesn’t disappoint. The biggest stars of the day that have been invited to Washington, DC for the weekend often make a pre-dinner appearance at the Garden Brunch. Since 2017, the dinner has been a lower-key affair due to the change in the White House, which has translated to fewer celebrities making the trek to Washington. Notable guests at the Brunch in recent years have included cast members from HBO’s VEEP, Helen Mirren, Bryan Cranston, Gugu Mbatha-Raw, Tony Goldwyn, the cast of Netflix’s House of Cards, Bridget Moynahan, Gerard Butler, Lindsay Lohan, Elle Macpherson, Kerry Washington, Rosario Dawson, Kris Jenner and Woody Harrelson. Luminaries and business leaders have included Travis Kalanick, Joanna Coles, Kevin Plank, Biz Stone, Eric Schmidt, Sheila Johnson and Yuri Milner. My favorite guests have always been Greta Van Susteren and her husband John Coale. You know her as a TV host, but she is the most loyal friend and has always brought in interesting celebrities who helped us draw attention to our causes. Over the years she has brought everyone from Kim Kardashian and Todd Palin to Lindsay Lohan and Kris Jenner. Other Garden Brunch co-hosts over the years have included Hilary Rosen, Alex Castellanos, Steve McMahon, Kevin Sheekey, Anita Dunn, Bill Knapp, David Adler, Franco Nuschese, Steve and Jean Case, Constance Milstein, Fred Humphries and Rupert Murdoch’s then-wife Wendi. The brunch has honored several prestigious organizations in its 25 years with a focus on causes that are making a significant difference in people’s lives. Recently, that list of organizations has included CURE Epilepsy, The White Ribbon Alliance for Safe Motherhood, Blue Star Families, Dog Tag Bakery, Yellow Ribbons United, and NS2 Serves. This year, we highlighted Wells Fargo’s veteran home donation program and NS2 Serves’ veteran training and hiring programs. The biggest surprise of the event came when ABC News Correspondent Bob Woodruff presented Ret. Army Staff Sergeant Dominic Perrotte with a 100% mortgage-free house. Perrotte, who completed 3 tours of duty in Afghanistan and Iraq and was wounded in 2012 when his vehicle was struck by a roadside bomb, was awarded the home after completing the Wells Fargo and Military Warriors Support Foundation’s Homes4WoundedHeroes’ three-year financial mentoring program. Other individuals and organizations have been acknowledged for their contributions as well. In 2017, Democracy Fund president Joe Goldman received the Visionary Award for his work in supporting independent journalists. At the 2015 Garden Brunch, American Sniper widow, Taya Kyle, received the Champion Award for her work on behalf of veterans’ families. We are proud to be the only White House Correspondents Weekend event to highlight a non-journalism cause. Because it’s a brunch, the food being served is very important and the spread at past events has created buzz of its own. From Katherine Kallinis and Sophie LaMontagne of Georgetown Cupcakes, who always donate their finest cupcakes, to the popular donut wall, to specialty cocktails, to the necessary espresso bar that keeps guests buzzing through the weekend, the food at the Garden Brunch has often been the talk of the town. We also attempt to have fun with social media while spreading the word about important causes. Guests have been invited to write their thoughts on Microsoft PPI displays. Zignal Labs has shared real-time analytics about #WHCD chatter through stunning visualizations on multi-screen displays. A livestream of the event has been broadcast online and also covered by C-SPAN. And guests are always encouraged to share their experiences using the #GardenBrunch and #WHCD hashtags. It’s an honor to host the Garden Brunch and to be part of this exciting weekend of putting a spotlight on the importance of journalism in America. The White House Correspondents’ Dinner is a special event, and I speak on behalf of my co-hosts in saying that we look forward to being part of the celebration again next year. Take a look back at last year’s White House Correspondents’ Garden Brunch honoring military veterans and a free and fair press. We’re only a few days away from this year’s event that will honor our military veterans and their families with support from Wells Fargo and NS2 Serves. The release of The Confidence Code for Girls by Katty Kay and Claire Shipman was celebrated at a recent book party. Just booked a #tablefortwo with my best @PressClubDC pal @LisaNMatthews from the great list of DC restaurants! Copyright Haddad Media. All Rights Reserved. Copyright © 2019 Haddad Media. All Rights Reserved.